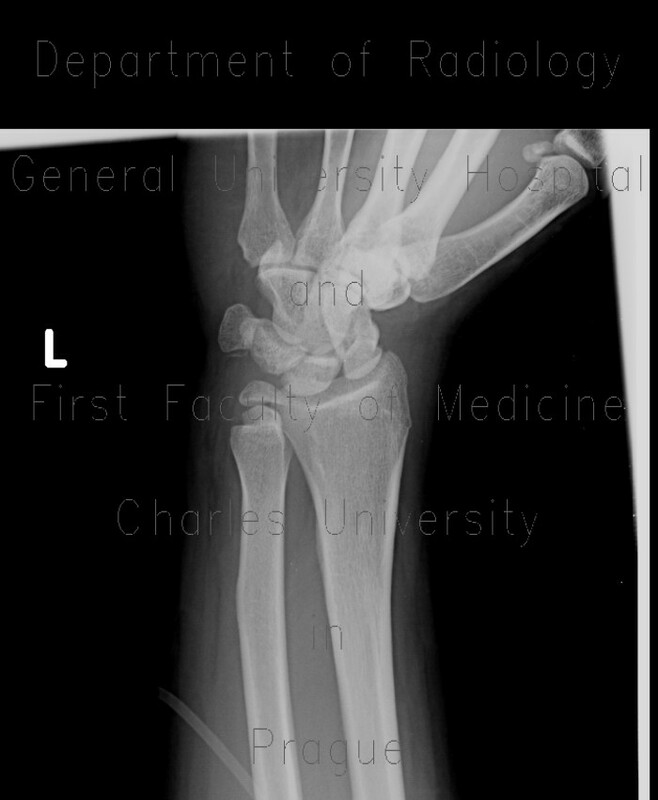 Fracture of the waist of scaphoid bone. Abruption of small fragment of volar edge of lunate, which is rotated and dislocated palmarly. The pisiform bone is shifted to the ulnar side.